Financial planning advisor Torrey Thompson joined the Atlanta branch of Amerilife and Health Services in 2017 as a general manager. Torrey Thompson educates his clientele on a range of investment and saving options based on their specific circumstances, enabling them to make well-informed decisions about their retirement plans, including those who are self employed. Since entrepreneurs do not have access to employer-funded pension schemes, they typically must do more of their own planning for retirement. 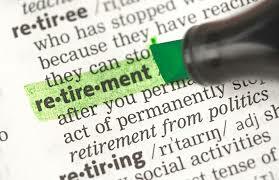 There are many effective retirement planning strategies that can be used by the self-employed. One option is to open a solo 401k, which is available at most banks. Self-employed tax-fillers can take advantage of IRS maximum contribution limits for both employers and employees and deposit up to $53,000 tax-free each year. Another strategy is the Savings Incentive Match Plan for Employees of Small Employers, or SIMPLE IRA. Under this plan, entrepreneurs can put aside up to $12,500 per year toward retirement. Small business owners can also use these IRA to give a 3 percent match to their employees’ contribution.